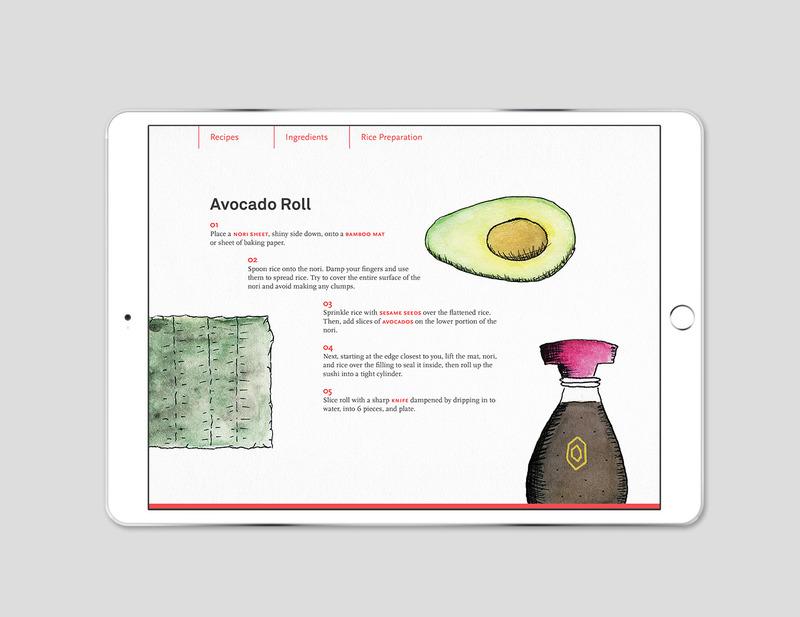 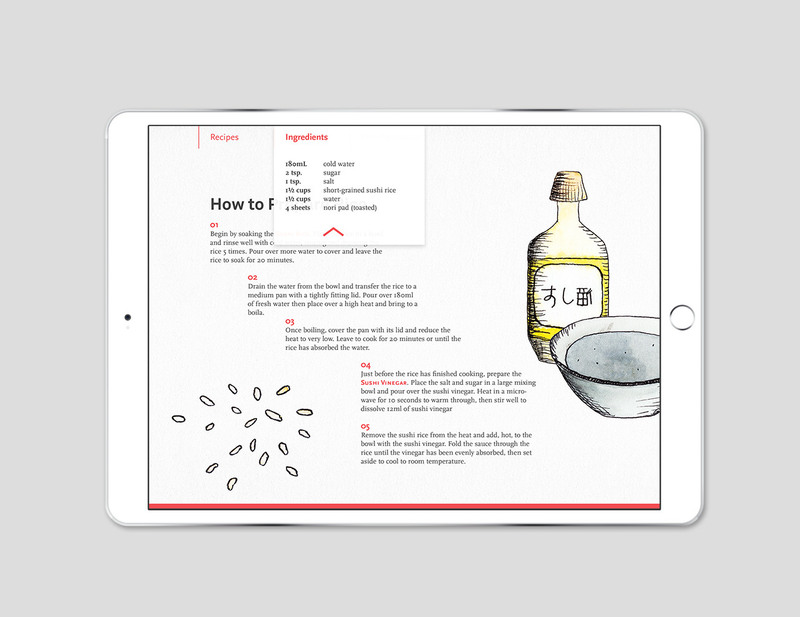 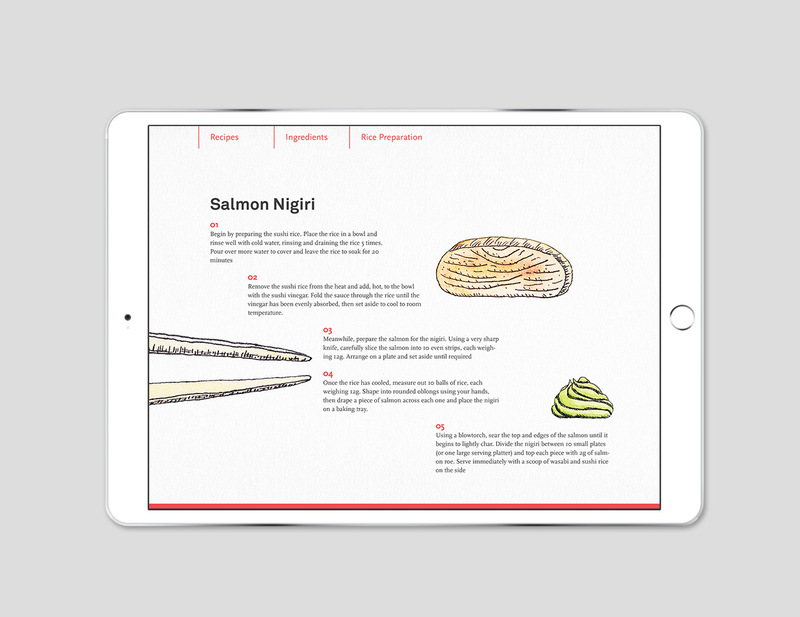 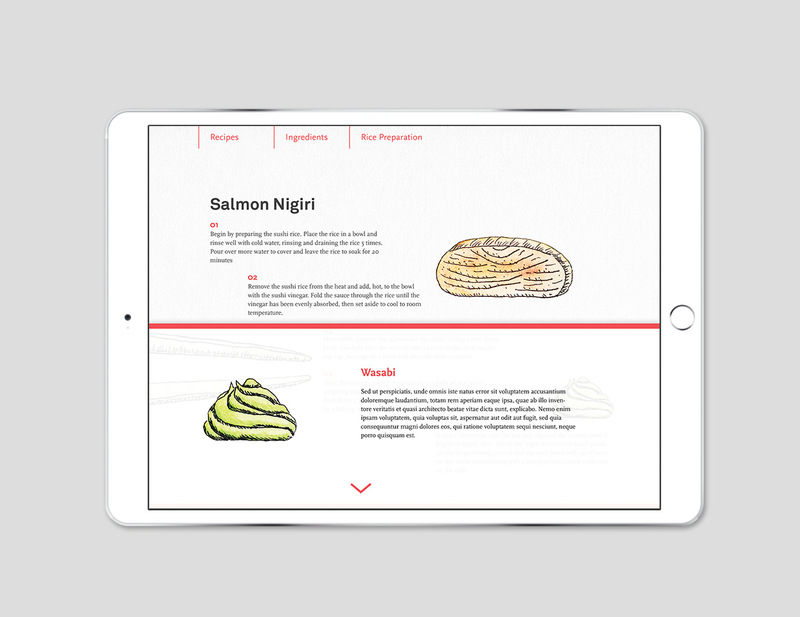 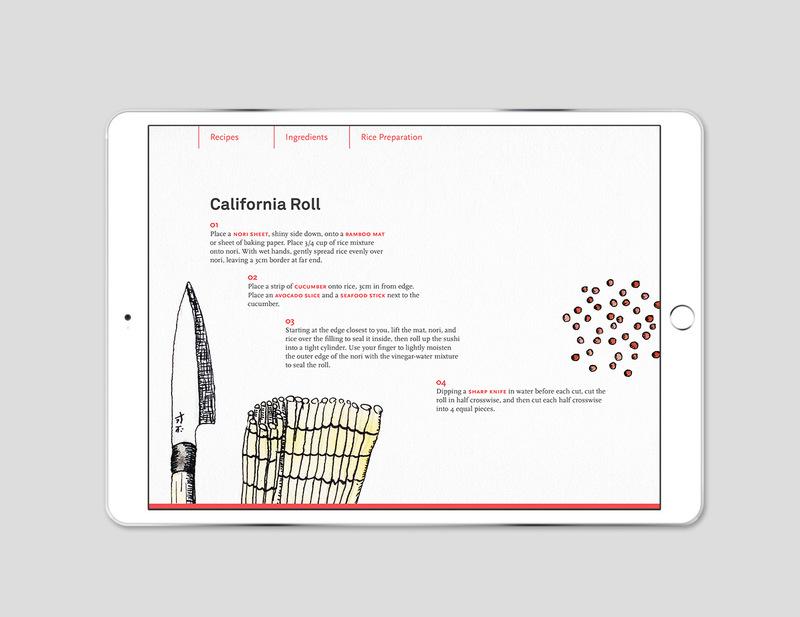 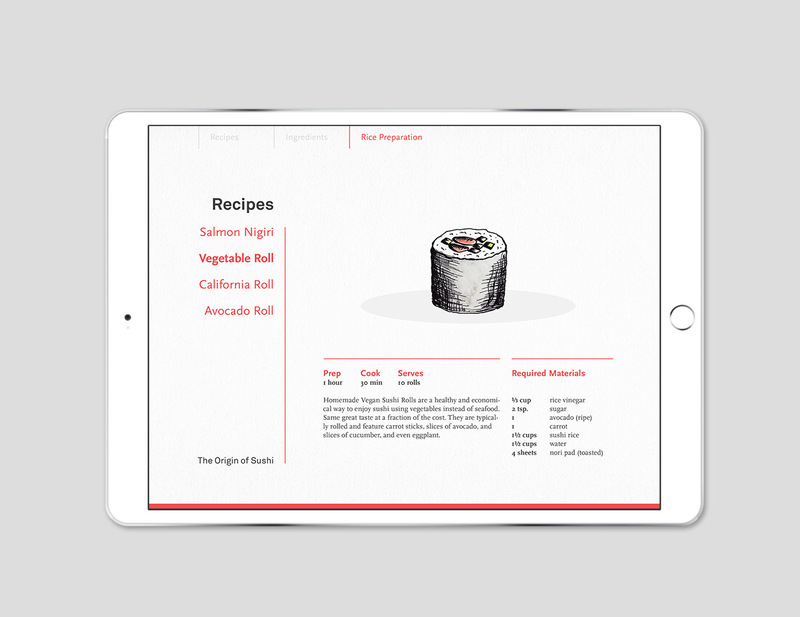 An interactive cookbook designed with the intention of introducing the art of making sushi to people with little to no prior cooking knowledge. 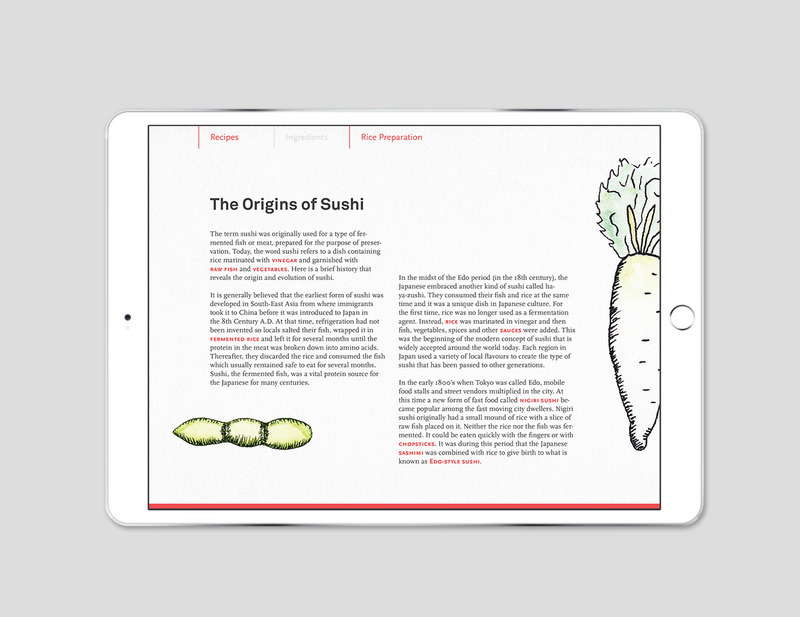 The e-book is meant to be very informative and covers the history and cultural signifigance of sushi. 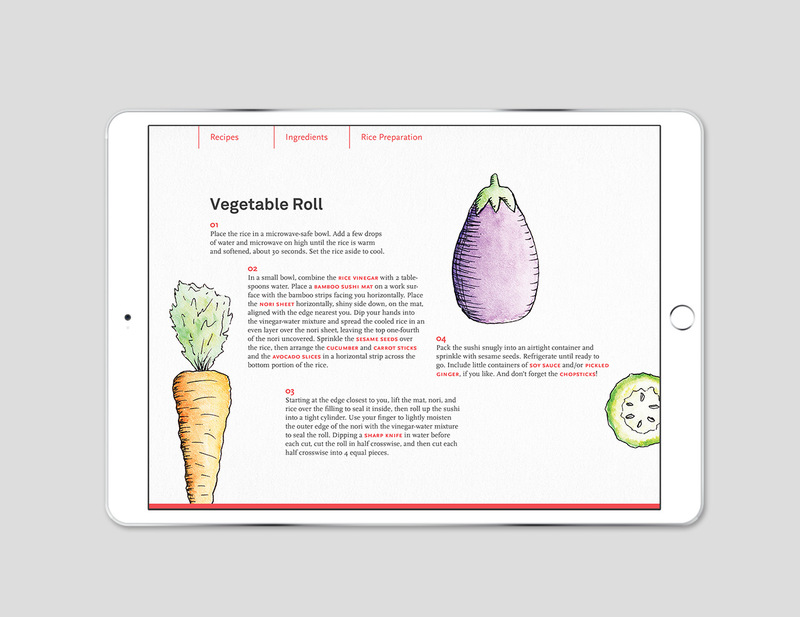 All of the illustrations were hand-rendered and then digitally retouched to create a consistent look and feel.